Damn, we look good! 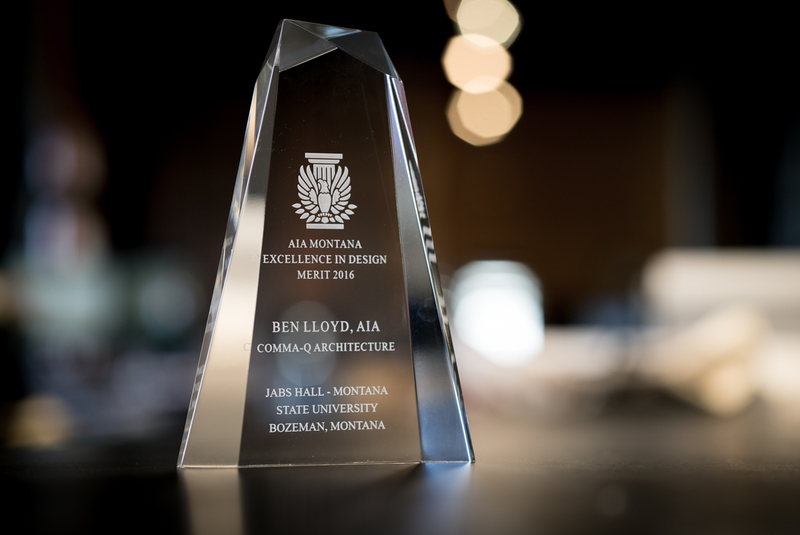 Once in a while it’s important to check yourself in a mirror, and this week the mirror was the Montana Chapter of the American Institute of Architects. Comma-Q received an AIA Merit Award for Jabs Hall. Jabs Hall at Montana State University provides 50,830 square feet of state-of-the-art teaching facilities, formal and informal meeting areas for MSU’s Jake Jabs College of Business and Entrepreneurship. It is a campus destination encouraging interaction between students and faculty of all disciplines. Ben Lloyd, Architecture Team – Principal in Charge, Comma-Q Architecture, Inc.
Kim Everts, Architecture Team – Project Manager, Comma-Q Architecture, Inc.
Tripp Lewton, Architecture Team – Project Architect, Comma-Q Architecture, Inc.
Jay Fischer, Consultant Team – Structural Engineer, Morrison-Maierle, Inc.
Erik Renna, Consultant Team – Mechanical Engineer, Morrison-Maierle, Inc.
Mike Hickman, Consultant Team – Civil Engineer, Morrison-Maierle, Inc. The parti places classrooms at the south, a bar of faculty offices and administration at the north, and open forum spaces housing informal learning and gathering spaces in the middle. 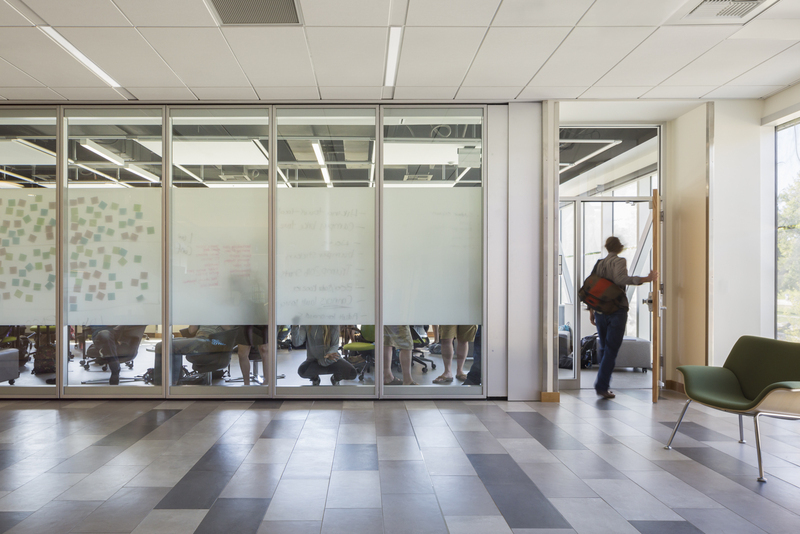 This organization is functional and environmental; with deeper generously glazed classrooms on the south allowing for sunlight and good temperature control and smaller offices to the north with punched windows reducing heat loss while still providing ample daylight in these shallower spaces. Jabs Hall exceeded the State of Montana requirement of LEED Silver – Jabs Hall is LEED Gold Certified and employs 52 closed loop geo-exchange wells for heating and cooling, a transpired solar collection wall augmenting heating, natural daylighting, low flow plumbing, LED lighting, recycled and locally sourced counters and stone, and hundred-year building skin systems. 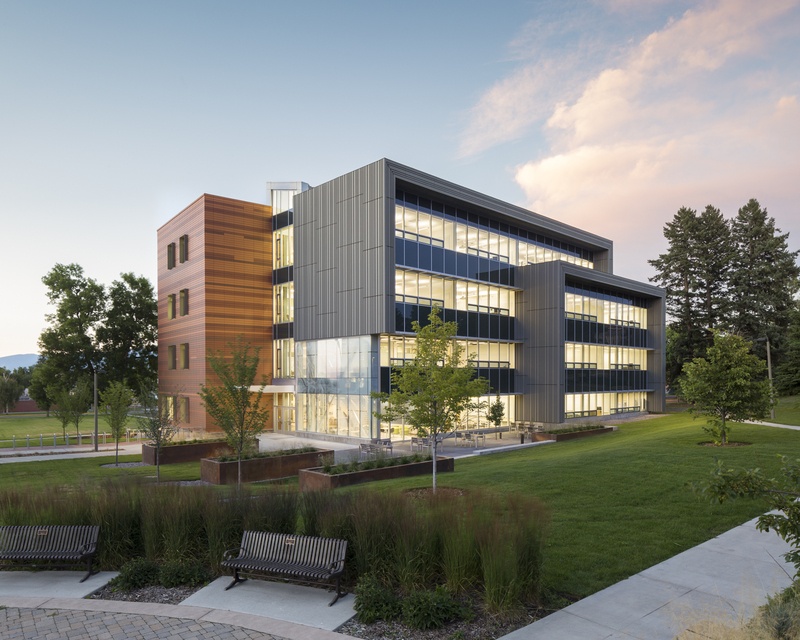 Mechanical systems are integrally connected with a district energy system, enabling Jabs Hall to harvest excess heat from adjacent lab buildings. The office bar is clad with terra cotta panels in colors referential to the masonry of Montana Hall – the most iconic historic structure on campus. The rich, stratified pattern of the terra cotta, offset by the classroom spaces clad in dark vertical zinc panels, both emulate the geology of the Bridger Mountains, Yellowstone and Gallatin basins. 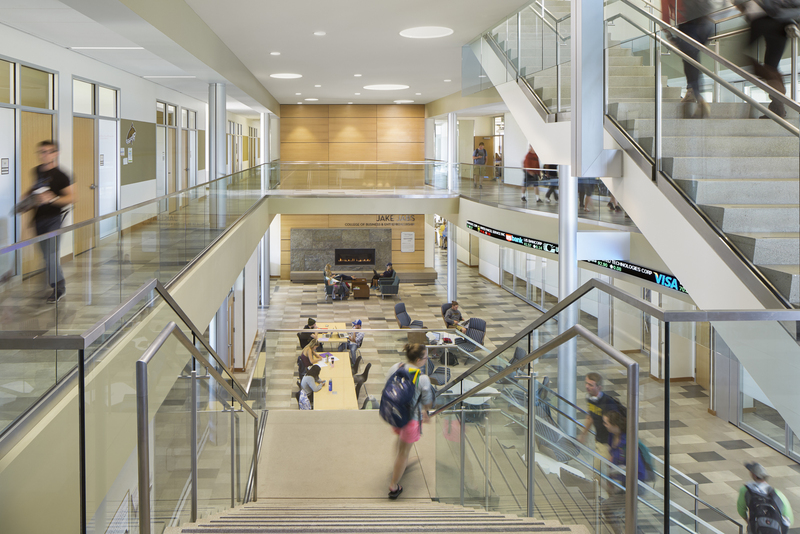 Two-story forum spaces at the ground and third floors, both with warm fireplace hearths giving respite from Bozeman’s snowy winters, are the core of the informal learning environment. A grand stair knits the four floors and together and the forums offer informal seating and workspaces along with technology-driven trading pits. Quiet study niches with amazing views of the Bridger Mountains, and classroom “porches” offering space for students and faculty to confer out of the way after classes dismiss, are provided throughout the building.